Silly as it the phrase is, there’s some truth in it. 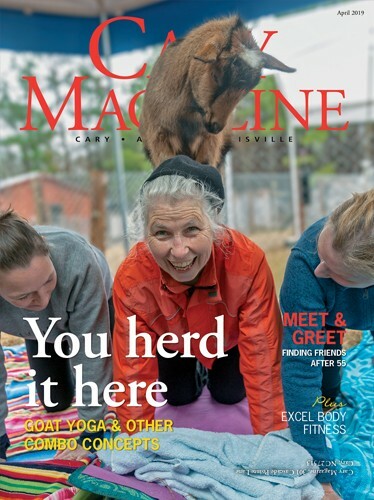 But it’s what happens next that’s most interesting: How these “Yankee” transplants dig in and help build our community into one that’s continuously lauded among America’s best places to live and work. After a while, their roots go so deep that we forget they haven’t always been here. Enjoy this glimpse into the ways our town is better thanks to the fresh perspectives of three people who were willing to make the move. Self-sufficiency is Carolyn Hassett’s mantra — and she’ll work to get what she wants. 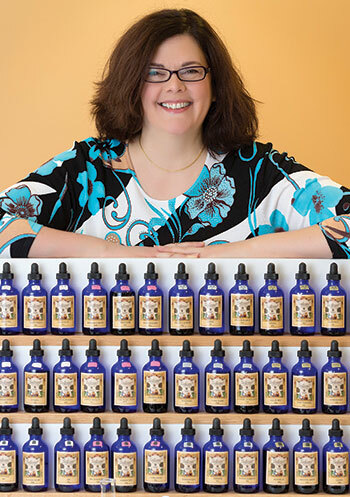 Lucky for us, what Hassett wants is to offer a unique service to our community through her custom perfumery Escentuelle, one of only three in the U.S. offering the full suite of essences from Parfumerie Galimard, the oldest perfumery in France. She opened Escentuelle in 2015, welcoming visitors from near and far, even from other states. The North Carolina Museum of Art commissioned Hassett’s work for its 2016 and 2017 Art in Bloom events, where her workshops sold out. Self-taught, Hassett perfected her skills in perfume creation through intense training sessions with master perfumers at Parfumerie Galimard, located in Grasse, the world capital of perfume. The ingredients used in the perfumes are imported from Galimard and meet European Union safety standards, higher than those of the U.S., reducing the risk of clients’ sensitivity to their custom fragrances. What drew her to Cary in 1996, Hassett says, were educational opportunities and a lower cost of living than New York. Here, she owns a home, and belongs to the Concert Singers of Cary. 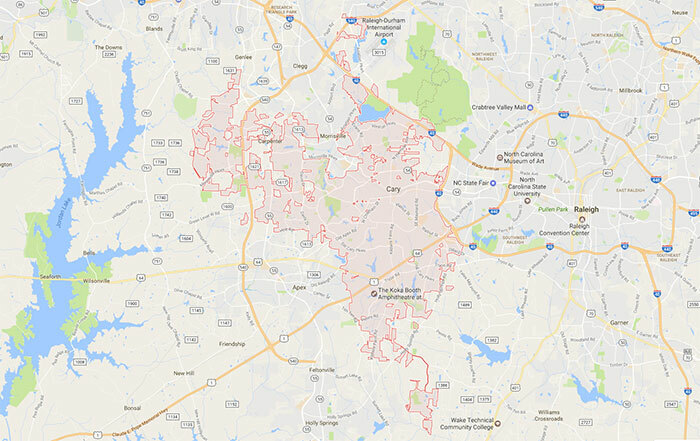 Escentuelle is a member of the Heart of Cary Association and of Giving Entrepreneurs, a group which helps nonprofits thrive through partnerships with small businesses. Through Escentuelle, Hassett supports other community organizations too, such as offering discounts to Film Circle members at The Cary Theater. “The best part of living here now is that I’m part of something larger than myself,” Hassett said. “I’m contributing a unique service, a different type of creative activity, and tourism. 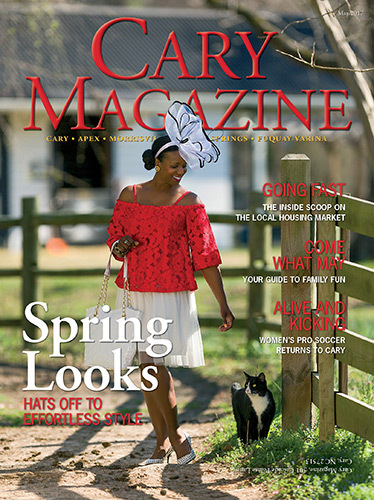 In a small way, I’m helping to grow and define Cary. 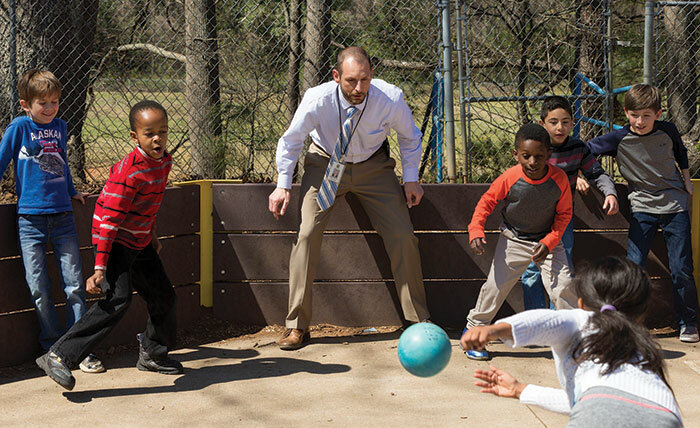 Cary Elementary School Principal Rod Stanton has now lived in Western Wake for about half of his life, and is beginning to see his early students grow up and become doctors and professors. “That’s where I start to see the contributions compound, how the people I helped can help others,” he says. As a newcomer to Western Wake in search of his first teaching position, Rod Stanton had a bit of trouble with the native language. Since 1996, initially as a third-grade teacher at Davis Drive Elementary and then in administrative posts in Fuquay-Varina and Cary, Stanton has worked to partner with student families in developing positive relationships. “I always thought that teaching was fun, and wanted the kids to have fun learning too,” he said. “I still try to lead with that, but now I can affect 600 or 700 kids at a time. Stanton says a bigger picture of his career is now evident: “In recent years the kids I taught at first have graduated from college. One is becoming a doctor, another is a professor in Poland. And when I interviewed one (former student) for a teaching position, she referenced me as having inspired her back in the third grade. The self-described “small-town country boy” who grew up making snow forts in Jamestown, N.Y., has also mastered the meaning of community. “Part of it was being a teacher; each year I was exposed to a new set of 20 kids,” Stanton said. “Soon I knew hundreds of kids and two parents for each of them. Teaching and being involved made me feel more at home. “The first year I felt like I was still away at college. Then I ran a summer camp. And then I met my Southern sweetheart,” he said, his wife Robin. His family, including daughters ages 12 and 10, lives in Holly Springs, where Stanton pursues triathlons and bike racing. “The best part of living here now is that my kids have the same great opportunities I had,” he said, from our area’s schools and museums to its parks and lakes. Lisa Higginbotham arrived in the Triangle straight from the beaches of Puerto Rico, to attend Duke University. “My freshman ID looked great, with that tan,” joked Higginbotham, of Cary. She earned a degree in public policy at Duke, aka journalism, where her mismatched Spanish to English colloquialisms — deep blue sky instead of deep blue sea, for example — kept her roommate laughing. 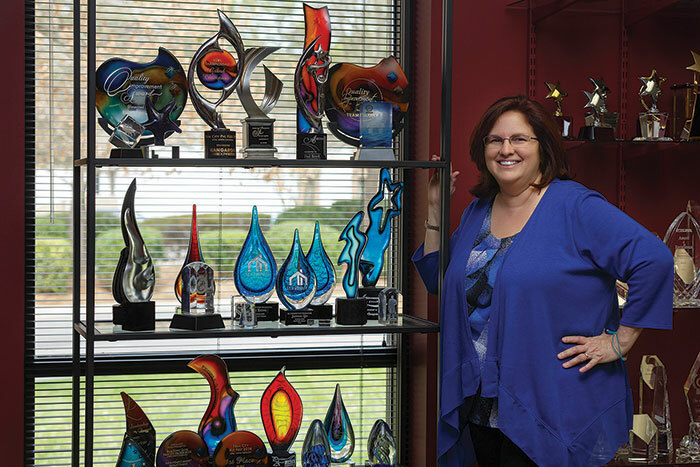 Along the way she discovered a love of graphics, and in 1999 founded personalized award and gift company 5Star Awards, now a certified woman-owned business. 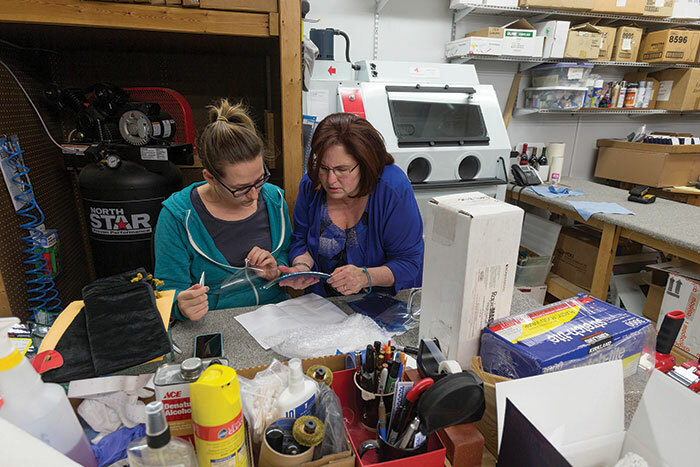 The 5Star facility boasts high-tech laser engravers, a UV printer, and a sand carver, all used by the team, which includes Higginbotham’s husband, Jeff, to turn out a remarkable range of items. Lisa Higginbotham, right, with production associate Amanda Jackson, moved to North Carolina straight from the beaches of Puerto Rico, and is now the award-winning owner of 5Star Awards in Cary and an active Rotary member, part of raising funds for local charitable organizations. “It’s important to give back to the community,” she says. Higginbotham holds the Certified Recognition Specialist designation from the Awards and Personalization Association, and sits on the board of that trade organization. Among its accomplishments, 5Star has earned the industry’s Small Business Retailer of the Year award, the Gold Obelisk. In the community, Higginbotham trains others within her industry, even local competitors, and is a charter member of the Apex Sunrise Rotary Club. The club’s foundation hosts the annual Peak City Pig Fest and co-hosts Triangle Oktoberfest with the Cary MacGregor Rotary Club, raising more than $90,000 to date for local charitable organizations.